Are you ready for the Perseids? Their peak is expected to be on the night of August 12 through the morning of the 13th, with good viewing to be had the nights before and after. 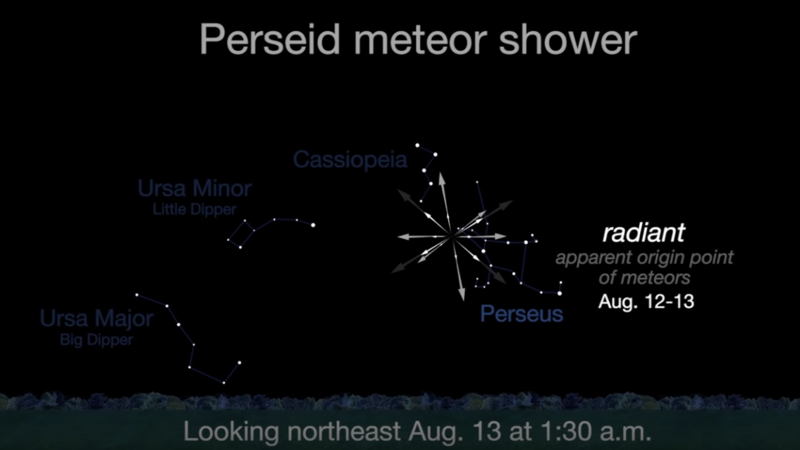 You may have already spotted a few Perseids streaking across the summer skies! This shower, part of the debris stream of comet Swift-Tuttle, actually starts in mid to late July and lasts through most of August. While most of these nights only showcase a few meteors each hour, the peak of the Perseids brings many, many more. How much more? The number actually varies every year; there can be as little as a few dozen per hour, but some rare years bring a brief "burst' of up to two hundred beautiful "shooting stars" an hour. This year's Perseids (2018) will benefit from a lack of a bright Moon. In fact, there will be a new Moon on the 11th, right as the Perseids begin to peak! This means that if you are in an area free from light pollution and enjoy clear skies, you may be able to see quite a few meteors over the course of the night! How many will you be able to see? There's only one way to find out for for yourself how strong the Perseids will be this year: go outside and patiently watch! If you trace the meteor trails of the Perseids back to their source, you will find they seem to come from a spot near the constellation Perseus - hence their name, and the name of most meteor showers. Get out of the city! Try to get to the darkest location you can. 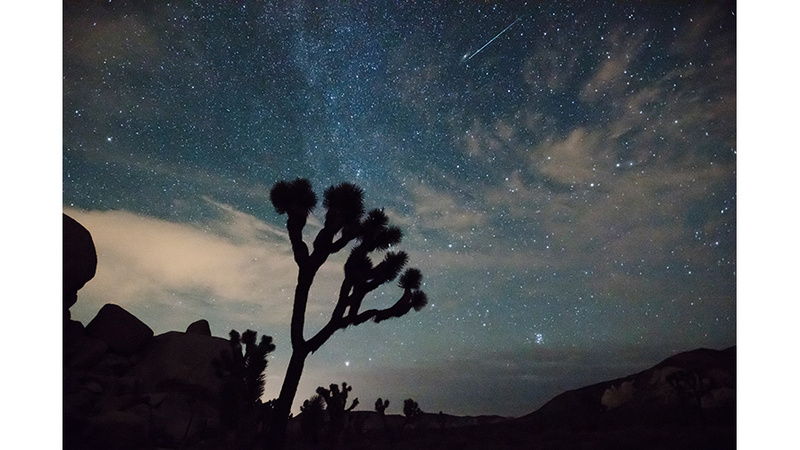 The darker it is where you are, the more meteors you will see streaking across the sky. Check the weather forecast for that night. You may need to check out two or three areas for predictions on fog, clouds, and temperature. Some weather sites even offer forecasts specially tailored for sky watching. Make sure you have clear skies to go along with those dark ones. We have a handout you can use at your star parties and outreach events: Heads up! It's a Meteor Shower resource page. For more information on one of our favorite meteor showers, check out NASA's excellent writeup and EarthSky's great observing guide. You should also check out JPL's August 2018 "What's Up? video as Jane Houston Jones give out great tips on how to watch for the Perseids, as well as other objects to look for in the night skies while you wait for these brilliant streaks. You can also use NASA's "Fluximator" meteor shower activity application to try to predict when the peak activity will be for your location. Have fun and may you have clear skies and great weather for your meteor shower party!